Production continues apace on the Australian set of Marvel threequel Thor: Ragnarok and in what is becoming standard practice for superhero tentpoles, an avalanche of pre-CG photos and video snippets have found their way onto the interwebs. 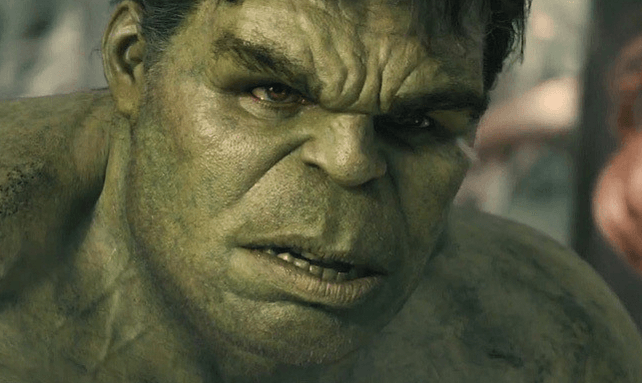 It’s often the case that these pre-emptive peeks surface via unofficial sources, but nipping at the heels of yesterday’s behind-the-scenes clip, Mark Ruffalo has uploaded a new snippet that presents a day in the life of Hulk. Considering Thor: Ragnarok is still early on in development, Ruffalo’s Tweet finds the actor dressed down in motion-capture gear and tuckered out on set. We won’t be seeing Hulk smash up Asgard anytime soon, but at least for the time being, fans can take solace in the actor’s bite-sized status reports. Rubbing shoulders with Chris Hemsworth’s God of Thunder, early reports and cast interviews have pitched Thor: Ragnarok as something of an intergalactic buddy road movie. Yes, those two Avengers haven’t shared much screentime but when they have, Hemsworth and Ruffalo’s characters display a chemistry that is as entertaining as it is rib-tickling. Here’s hoping director Taika Waititi can channel that in time for 2017. Also starring Cate Blanchett, Tessa Thompson, Jeff Goldblum, Anthony Hopkins and Karl Urban, Thor: Ragnarok has been pegged for release on November 3, 2017 in the States.